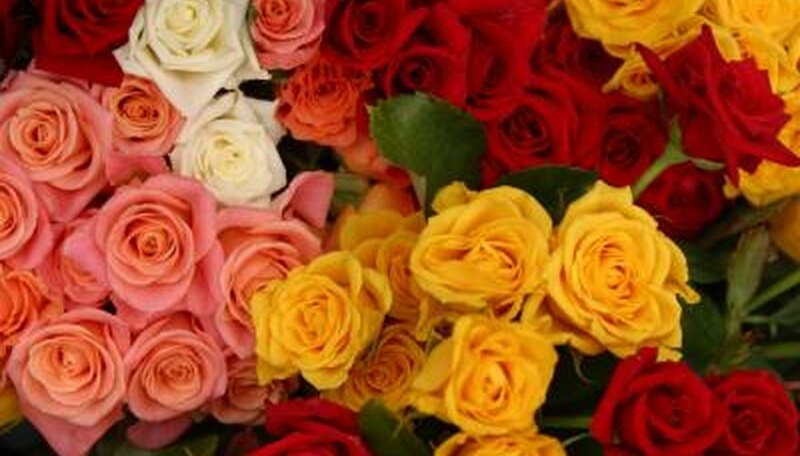 If you want to honor someone special, it's possible -- but not easy -- to name a rose after the person. As long as the name isn't already in use, you can follow one of two paths to register a cultivar. This may require a long-term commitment and a lot of money, but there's no better way to create a long-lasting tribute. Think about who you would like to name the rose after. Wouldn't it make a lovely anniversary gift for your spouse who loves gardening? How about a rose named in honor of your grandmother who passed away? The name of the rose could include their whole name or part of their name and a descriptive term. Think about possible combinations. There's even a book that will give you ideas: "A Rose By Any Name" by Douglas Brenner and Stephen Scanniello, which reviews the history of naming roses. Find a rose breeder who is willing to sell you naming rights for a new rose. The prices for the naming rights range from $4,000 to $15,000 as of the publication date. This is the fastest way to name a rose after someone, and also the most expensive. If that seems too pricey to you, there's the old-fashioned way to get naming rights. Start raising roses. Hand-pollinate them, collect the seeds and grow them to develop new colors, shapes and growing patterns. It can take years to develop a rose that has the characteristics you want. And even then, you should continue to propagate the rose for a few years to make sure the new variety is healthy and hardy. To begin the process of naming a new cultivar, visit the website of the International Cultivar Registration Authority - Roses. Rose naming authorities can be a persnickety bunch. Before you begin, make sure your name is completely original, and read the website's extensive instructions. How Does a Rose Bush Get Two Colors?